The City of West Hollywood in the U.S. State of California has proclaimed May 28, 2018 as “Azerbaijan National Day” in the city. 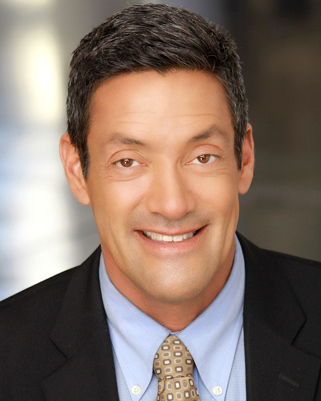 The relevant proclamation was signed by the Mayor of West Hollywood John J. Duran and the City Councilmembers. The document stresses that after restoring its independence in 1991, “the Republic of Azerbaijan has consolidated its freedom and independence, and has become one of the world’s fastest developing and modernizing countries, the largest economy of the region and an important trade partner with the United States in the South Caucasus.” It further mentions that the United States was one of the first countries to recognize the Republic of Azerbaijan and establish full-fledged diplomatic relations with it. The proclamation notes that represented by its Consul General in Los Angeles, Azerbaijan has formed a strong partnership with the City of West Hollywood over the last few years. 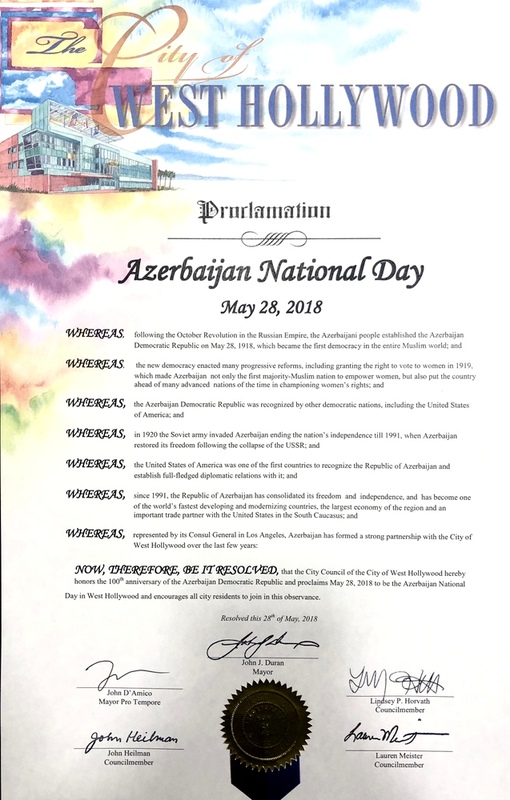 In the end, the City Council of West Hollywood honoring the 100th anniversary of the Azerbaijan Democratic Republic proclaims May 28 to be the “Azerbaijan National Day” in the City of West Hollywood and encourages all city residents to join in this observance.